Advances in technology are increasingly making data the most important resource a business has at its disposal. Artificial Intelligence and Machine Learning features are increasingly leveling the playing field by giving small businesses, accountants and bookkeepers the ability to leverage data in ways that were previously available only to larger companies. We believe that giving our customers control over their data is one of our most important responsibilities. One of the key ways we deliver on this is through secure, direct bank feeds, which automatically import transactions from a customers bank or financial institution directly into a Xero organization. At Xero, we believe that every organization in this industry — technology providers, banks and other financial institutions, and data aggregators — have a responsibility to work together to deliver the best possible experience for our shared customers. Thatâ€™s why weâ€™re proud to announce weâ€™re joining forces with the Financial Data Exchange (FDX) to bring the US closer to an â€˜Open Bankingâ€™ system by unifying the financial industry around the secure exchange of financial data. The launch of the FDX marks the first time the full ecosystem of industry partners has come together to address the common challenges of consumer-permissioned data sharing. The FDX will allow us to work together to give consumers greater control of their data, enhance security, and accelerate innovation in financial services. The FDX will implement and oversee a new standard for data sharing between companies, Â called the Durable Data API or DDA. The FDX will also work to create new operating frameworks to further enhance existing security practices. 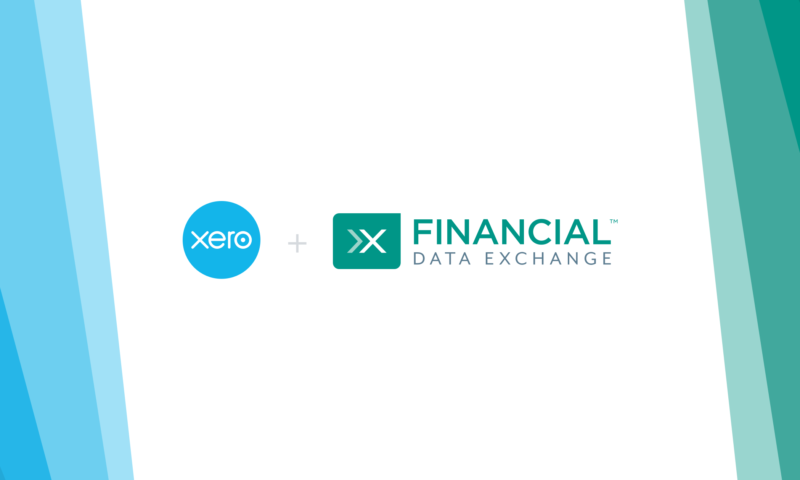 Our involvement with the FDX is just one way Xero is working to give consumers more control over their financial data. We recently announced the launch of the Xero Bank Feeds API. Itâ€™s an evolutionary leap in how banks, payment providers, and lenders interact with Xero customers. Instead of Xero building a feed for each individual bank â€“ a process that could take months per bank â€“ financial institutions will be able to build to Xeroâ€™s API as quickly as in a few weeks. It allows banks to nimbly respond to customer needs, and it enables Xeroâ€™s financial connections to grow at scale. This is an exciting time for the financial industry here in the US. By working together, we can empower our customers to take full advantage of their data so that they can grow their business and thrive like never before. The post Helping Small Businesses and Advisors Do More With Data appeared first on Xero Blog. Is the way you take payments killing your cash flow? by joining our newsletter program.